1. 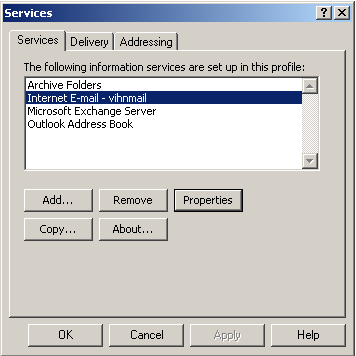 In Outlook 2000, go to the Tools in the top menu, and select Services from the drop down menu. A box will appear called "Services". 2. 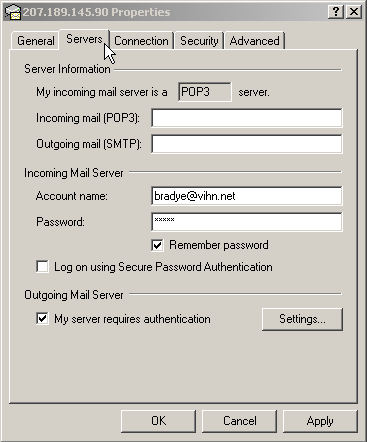 Once in the Services menu find your Internet Mail or the mail that you have setup to receive mail through. Double click onto the name. This will open the Properties box. 3. Once in the Properties box, you will need to check a couple things.